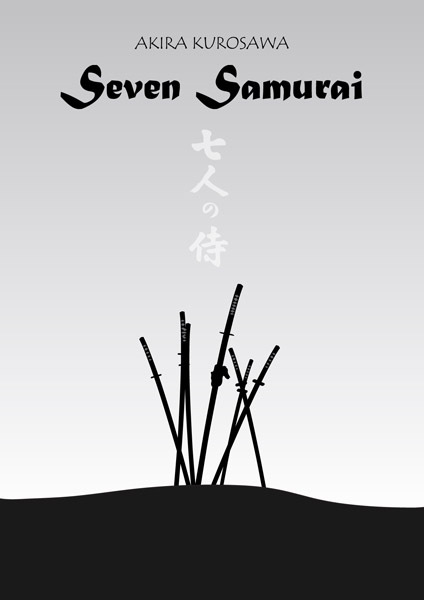 Seven Samurai – Did You See That One? 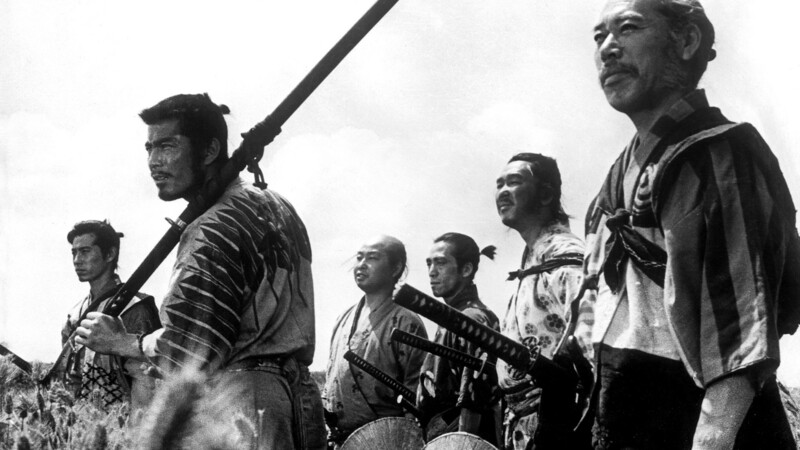 After living through repeated raids on their small country village, a small group of men recruits seven samurai to defend them. Now the samurai and the villagers must work together to survive. This is one of the great films to come out of Japan following the end of World War II. Akira Kurosawa (Rashomon) not only directed the film, but also helped to write the screenplay with Shinobu Hashimoto (Throne of Blood) and Hideo Oguni (Ikiru). The film stars Toshiro Mifune (The Bad Sleep Well), Takashi Shimura (Theater of Life), and Keiko Tsushima (The Valley Between Love and Death). 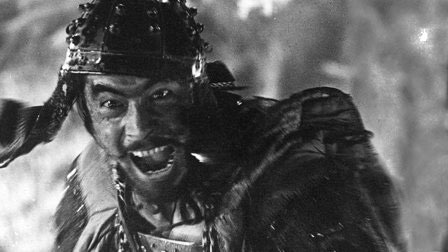 The story for Seven Samurai has aged wonderfully over more than 60 years. In addition to guiding this film, the story also provided a template for The Magnificent Seven which was released in 1960. The writing does a great job bringing out the relationships between the characters. This includes highlighting the strengths and weaknesses of each one. The dialogue in this one is a great mix of serious conversation and witty banter. The writers also knew how to rely on the visuals to drive home many of the major points of the film. This helped to avoid the use of long speeches that films of this nature sometimes contain. Overall, this one seems to reflect on the abuse of power, honor, and friendship throughout. This creates a story that works almost flawlessly. The acting in this movie is solid from the entire cast. 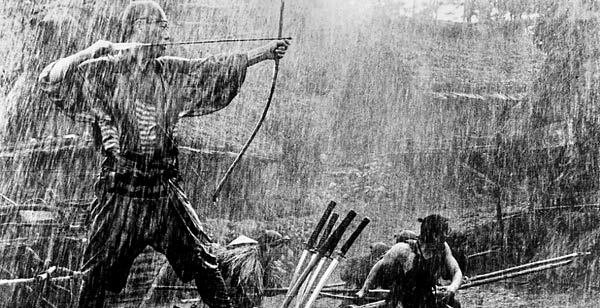 The cast endured tough conditions owing to Kurosawa’s desire for authenticity in his work. Stars like Takashi Shimura and Keiko Tsushima are just a few of the many excellent actors challenged with bring this one to life. The emotional stakes of the film are nicely held up thanks to their great work. The true star of this film is Toshiro Mifune. This legendary actor was given the freedom to improvise much of his role to make the film more colorful. The result is a movie that retains the drama while adding in a higher level of emotion. The men playing the seven samurai did an excellent job knowing the personalities of their characters. This really pays off as the relationships between them grow throughout the film. Overall, the actors did everything needed to make this a memorable film. Kurosawa’s need for authenticity included building a village just as it would have been in the era of the story. His ambitious approach lends itself to the feel of the film. In addition, he employed the use of multiple cameras shooting the same scene to ensure that he could capture events from multiple angles. His stage direction is some of the best work ever done. No scene feels unplanned. This isn’t to say that things feel unreal. It’s just clear that his visual design was strategically done to ensure that every scene could communicate a specific message. The composition of the camera work adds to this aspect of the film. Overall, this is one of the most beautiful films ever made. The film was also nominated for two Oscars. The first was Best Art Direction for the set design work, and the second for Best Costume. This movie looks incredible, even after six decades. 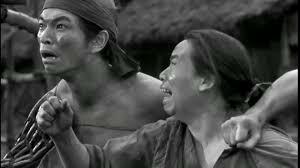 This is a classic drama from Akira Kurosawa. If you’ve never seen it, make it a priority. I would recommend this one to anyone who loves classic cinema. This is also a good one for fans of drama or war films. This film does have a running time of 207 minutes, but the pace moves so quickly that it never drags. I give this one 5 out of 5 stars. The nice thing is that this movie moves so quickly. It doesn’t have the feel of a movie that runs more than three hours. Incredible film. 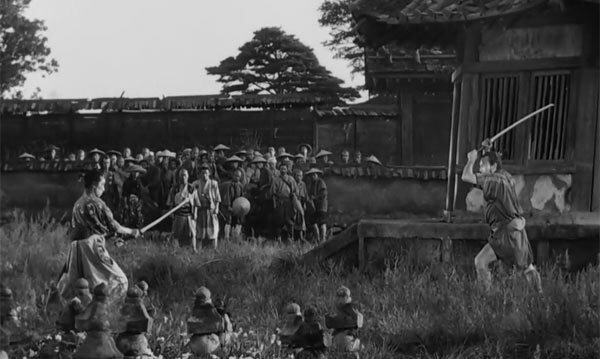 Pingback: Throne of Blood | Did You See That One? 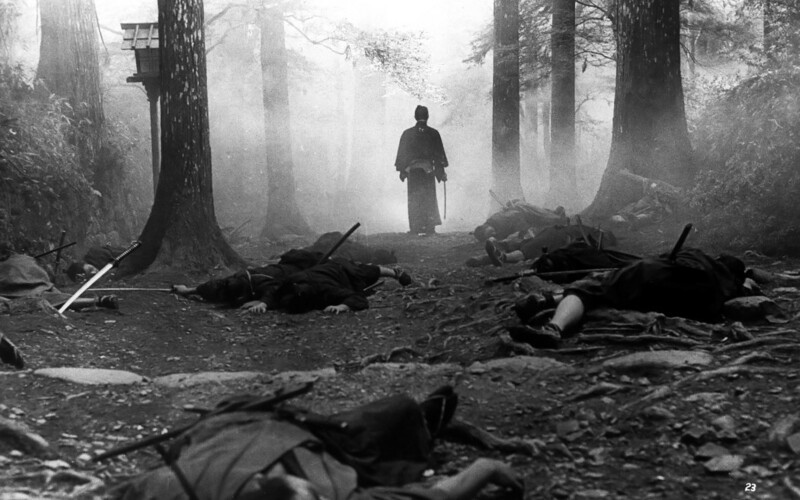 Pingback: Yojimbo | Did You See That One?